Acer tr ees are a perfect addition to the garden. There are many varieties of maple, or Acer plants and you can choose the one that suits you best. 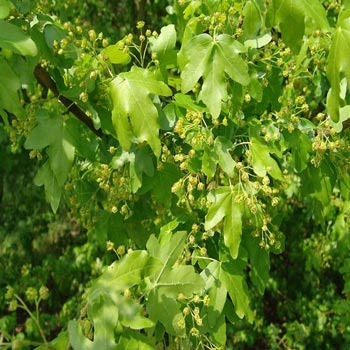 Derwen Wholesale hosts the three most popular types of this tree, namely, Field maple, Norway maple and the Sycamore. All three types are beautiful in their own respect and have the characteristic lobed leaves that are so attractive. Apart from aesthetics, Acer trees host numerous benefits. These deciduous trees are extremely resistant to atmospheric pollution and very friendly to wildlife. They are tough and hardy and can thrive in all types of soils and conditions that other trees may not, such as clay soil and growing in shade. Important cultivation note: Acer trees are not good companion trees as they inhibit the growth of nearby plants. So if you wish to plant them in your garden, make sure to plant them at least 25 feet away from other vegetation. Let’s discuss the three acer plants which are perfect for the climate in Europe and the United Kingdom. If you wish to buy this acer tree, you can get it in the bareroot from Derwen Wholesale. Not native to Britain but naturalised. We have the acer platanoides available in the bareroot form. The Sycamore is available in bareroot form at Derwen Wholesale. If you wish to learn more about the acer trees and discuss which might be the best option for you, please message us here or call us at (01938) 553015. Our expert staff will be happy to guide you in the right direction. In case you already know which acer tree suits you best, please have a look at our products online.